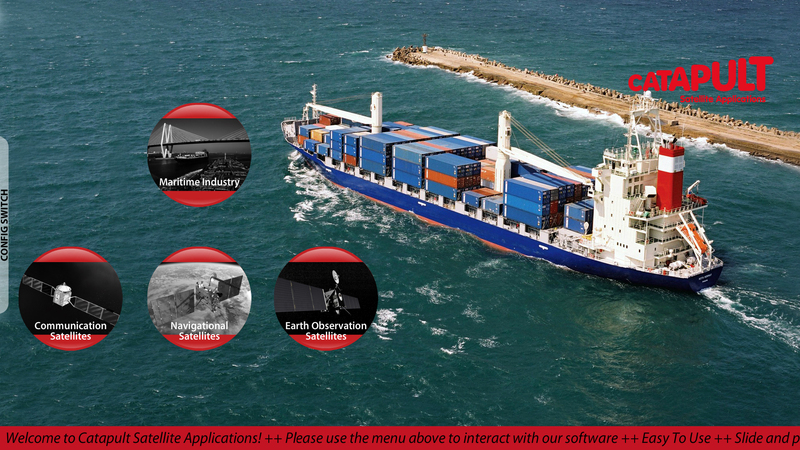 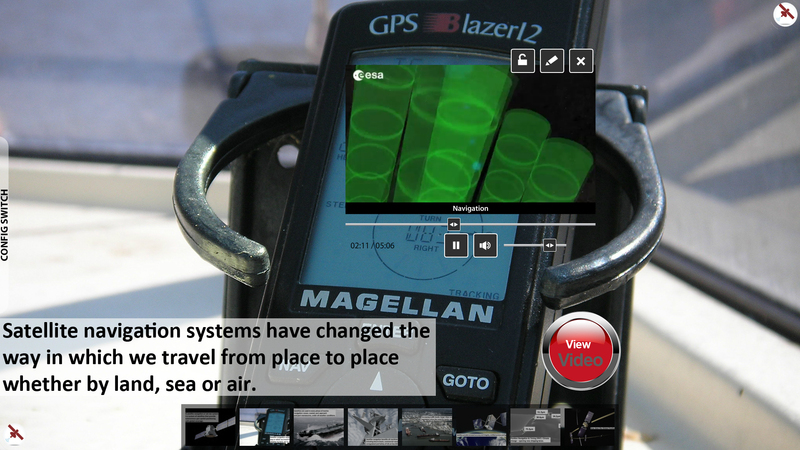 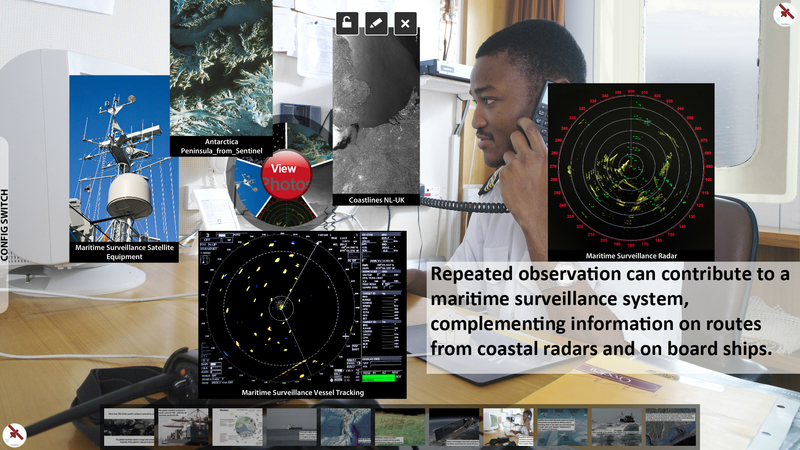 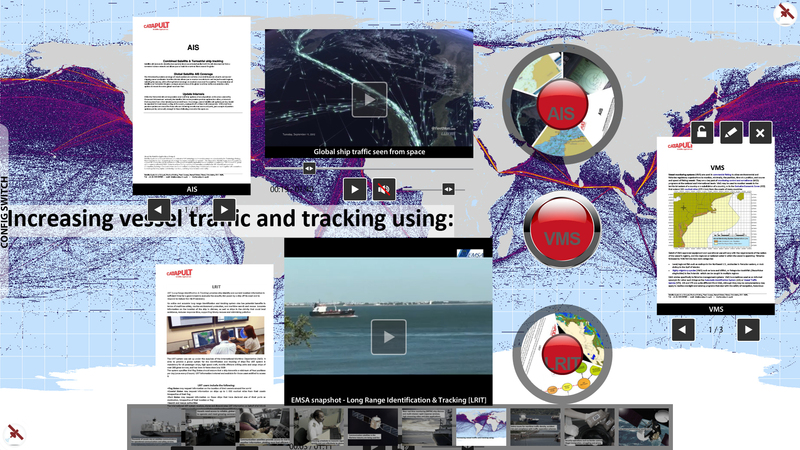 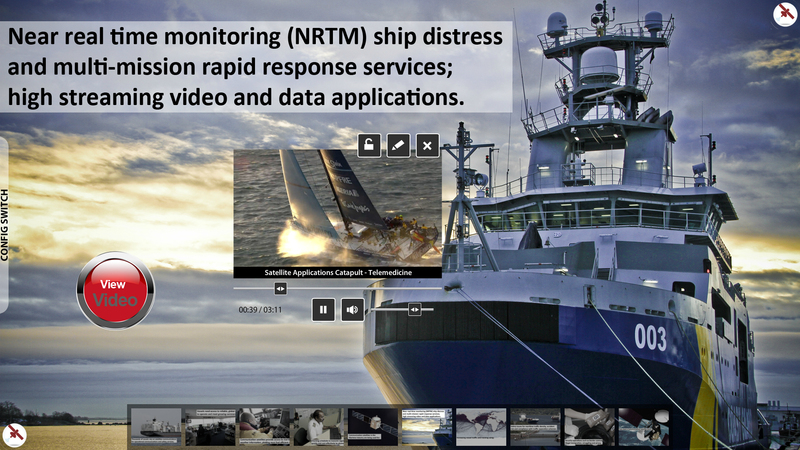 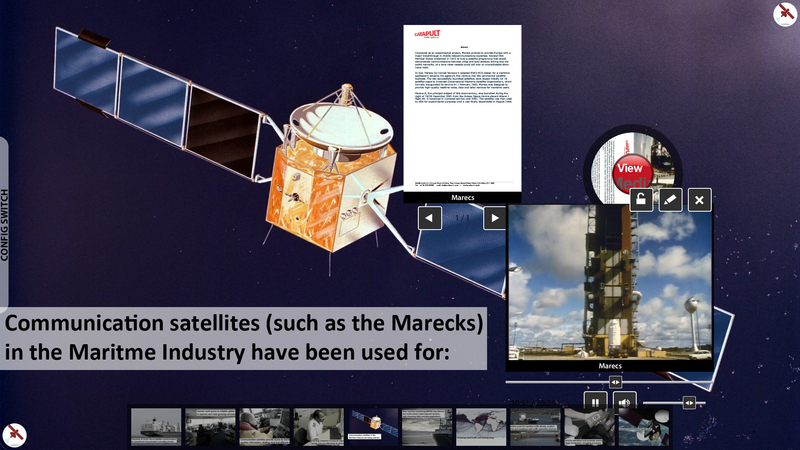 For Satellite Applications Catapult we created an interactive multi-touch presentation, the so called interactive PowerPoint-style app displays the various types of Satellites inside The Maritime Industry. 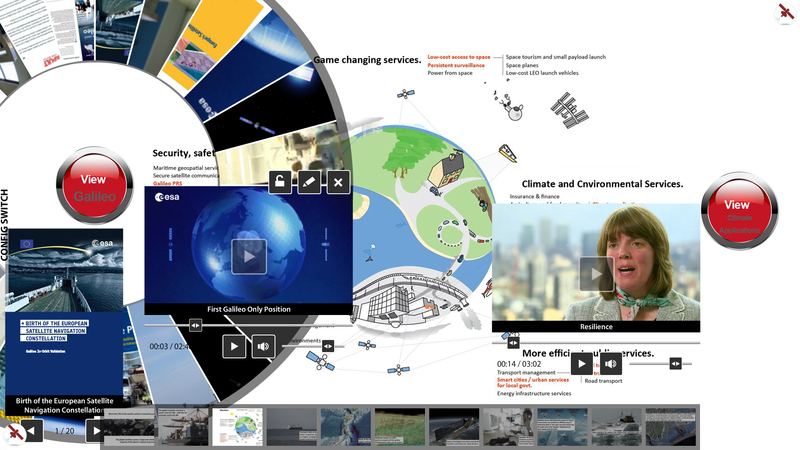 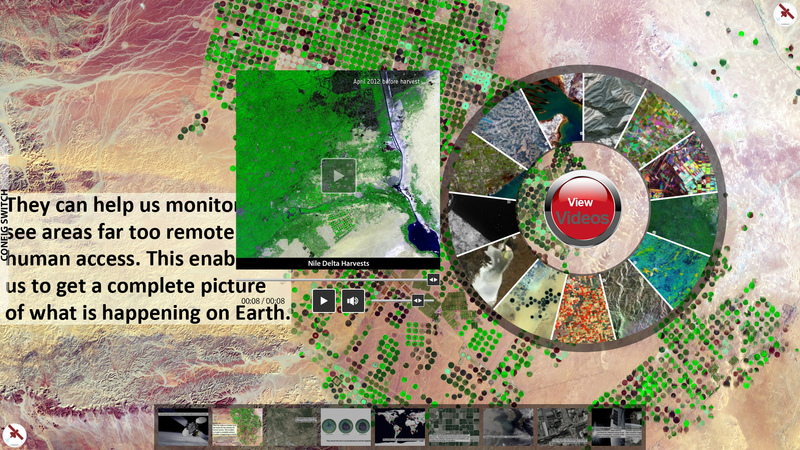 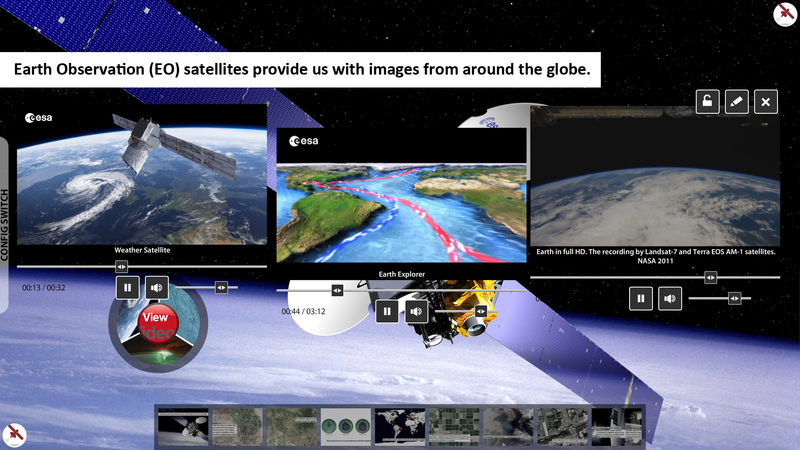 The Earth Observation Satellites, Communication Satellites and Navigational Satellites sectors are complemented with various videos, PDFs and photographs illustrating its usage. 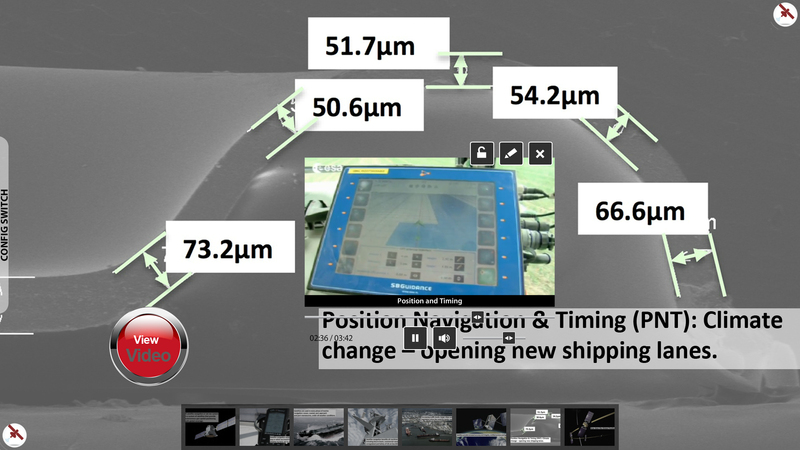 See the slideshow below displaying some screenshots of the interactions inside the multitouch application.